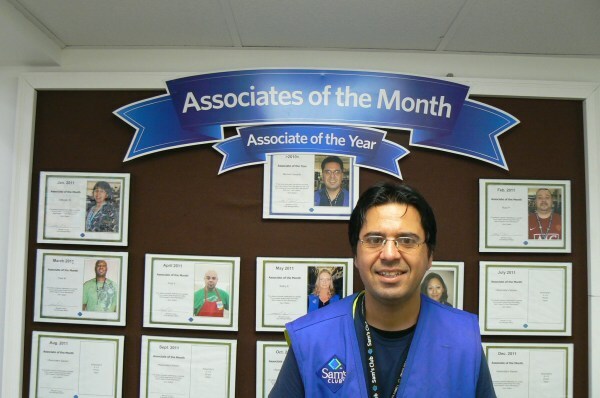 Marcelo is an integral part of the Sam’s Club maintenance crew where his duties include sweeping, breaking down boxes, collecting carts and helping customers locate merchandise on the sales floor. According to Marcelo’s current ETS Daivd Tibbs, coworkers and supervisors alike say that Marcelo is a star employee and that he plays an important roll in helping the company reduce asset loss. Recently, Marcelo was put in charge of maintaining the store’s café- keeping all surfaces clean and sterile, and restocking condiments and supplies. All of this diligent effort was rewarded when Marcelo received his Employee of the Year nod. In his free time, Marcelo enjoys working out at the gym and spending time with his family. He has also expressed an interest in learning to drive, owning his own car and improving his reading and math skills.